Is Google Plus being pushed to one side already?? I’ve read a few blog posts saying that experts have already written Google plus out of the social network scene. OK, it’s new…. it’s only been live for a fe weeks but it’s generated more interest than Wave. But would people actually move away from Facebook? I think Google have really thought about ‘Plus’ compared to their last (lets be honest, feeble) attempts and are could cause Facebook some damage. If they play their cards right and market the idea in the correct way, they could pave the way to becoming a giant in the social media world. Why you ask? Well, for one the features in Plus are (in my opinion) much better than that of anything that Facebook have come up with. Circles for instance… it’s a nice, clean feature and it works really well. And lets be honest, I think we’d all prefer to see adverts that are relevant, rather than the numerous loans and dating ads that Facebook throw at us on a daily basis! Lets give it a chance and see just how scared Zuckerberg gets! Due to another arrival to the family due very soon, I need to sell my car in order to get a bigger one! It’s a 2001 (51) Renault Megane Dynamique. I have detailed full specifications of the car, including tax and test information below, including a few pictures. I’ve looked after this car since I bought her back in 2004 from Reg Vardy. She had 28,000 miles on the clock and now has 77,000 (see picture below). It’s NEVER been smoked in and I didn’t let the kids eat food/sweets inside her either, so the interior is immaculate. The bodywork is very clean and bright. Many people say she doesn’t look nearly 10 years old, as she is cleaned (without fail!) every week. She does however have a couple of small scratches and stone dents, that most cars of this age have. There is however NO RUST AT ALL on any area of the bodywork. An inspection is welcome! It’s only used for local driving (to and from work) and occassionally on weekends. I fitted 17″ MAK alloy wheels in 2006 which could do with a refurb, but they are still in good condition. I also got the car windows tinted (all rear windows) and also fitted a Sebring Twin Exhaust. The car is not loud in anyway and drives nice and quietly. The MOT for the car is due in March (22nd). I DO NOT expect the car to fail. There were no advisorys on the previous MOT. The car is also taxed until the end of May 2011. This car has been very good to me, it’s never let me down…. ever! She will make a good car for a small family, or a couple looking for a decent, clean car that has been well looked after. Price I’m looking for…….. £1,200 o.v.n.o. Please contact me on 07592 933 930 if you would like more information, or to arrange an inspection of the car. 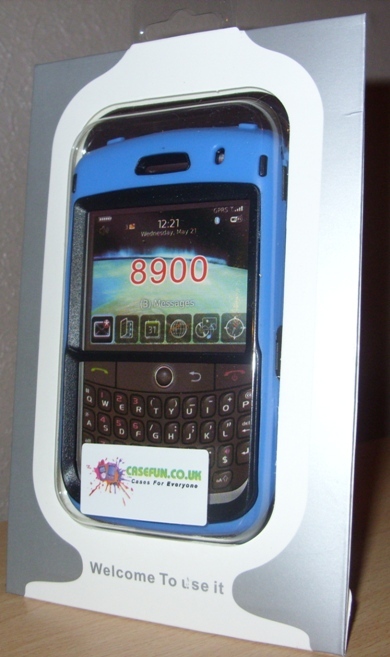 The Blackberry Curve 8900 Shock Proof Explorer Defender Case from www.casefun.co.uk boasts the ultimate protection for your BlackBerry handset. If you find that you use your Blackberry more outdoors, then this is the case for you! The Defender Case, ready to be unpacked! The Defender Case is designed to provide maximum protection for you handset, so it’s split into three ‘layers of protection’. The first layer is a screen protector that is used to provide scratch protection to the handset screen. The second layer is a tough, high-impact & very durable plastic shell, protecting the handset. Finally, a silicone skin provides the third layer of protection, which absorbs any bumps or shocks. As the main case comes in two parts, once assembled it does increase the overall size of the Curve, as all cases do. However, you have to remember that this case is extremely tough and as such, is designed so prevent your handset from damage, should you accidentally drop it. Assembly of the case is very straight forward and I had my Blackberry fully protected within a couple of minutes. Everything you need is inside the pack! First and foremost, fit the screen protector to your handset, ensuring that any air bubbles are removed and you can see the screen clearly. 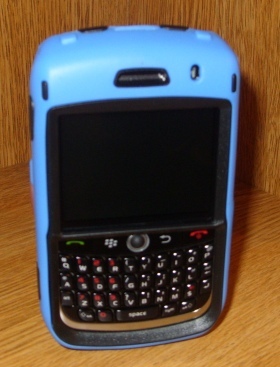 Then, place your Blackberry inside the durable plastic shell case, ensuring that the case is fully closed and clipped together. Finally, fit the silicone skin over the top and you’re done! 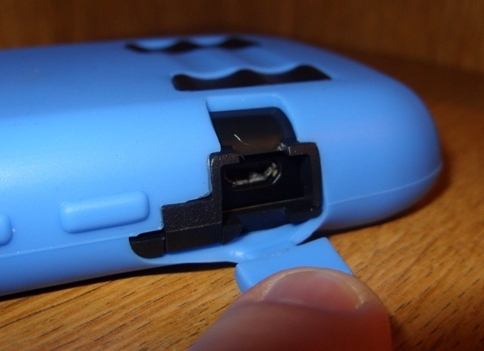 The side buttons on the handset are covered by the case, however it provides its own buttons for you to push. These are perfectly placed and haven’t caused any issues during use, so the camera or voice dialling capabilities are quickly accessed. Both the charging port and headphone jack are also covered with a small silicone flap, which is easily opened and closed, yet the fitting is nice and snug, so they don’t open easily by themselves. The flaps are also very good at protecting the holes from particles of dirt or dust. During use you still have full access to the keypad, aswell as a full view of the screen, which remained nice and bright. The trackball is still fully accessible also. The level of volume remained nice and clear, as there is an opening at the top for the speaker, so people who I spoke to could be easily heard. There is also an opening for the LED, so you can still see this flashing. People could also hear me talking without any issues too. 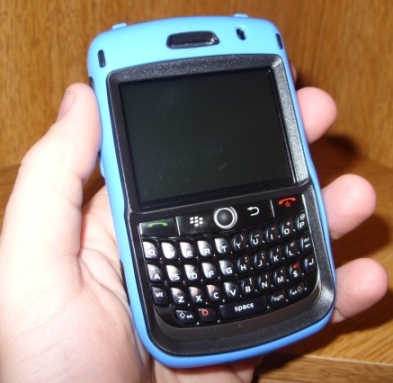 Blackberry Curve Defender Case - a handful, but well protected!! I would say that one drawback of using the case is that if you ever feel the need to pull out the battery, or get to the SIM or Memory card, it’s not exactly a quick process and quite fiddly… not really ideal, especially if you’re travelling. As the case is assembled around your handset, it’ll take a few moments until you can get your handset back out again. 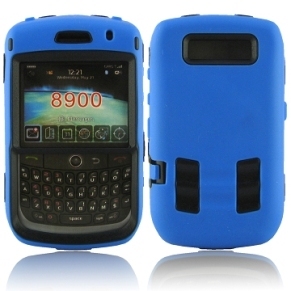 The Defender Case offers the ultimate protection for your Blackberry. I would highly recommend this case for anyone who uses their Blackberry outside on a regular basis, or for those who just want that extra protection from the daily elements. 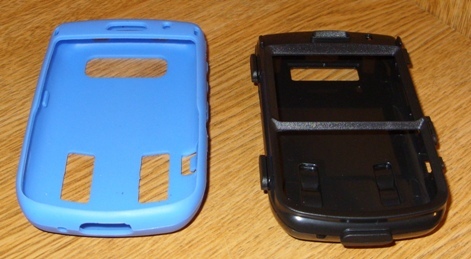 A big thank you to Karen at CaseFun for sending me the blue case to review. Case Fun – Cases for Everyone! They pride themselves on provided the highest levels of customer service, along with competitive prices on all their cases. If you’re anything like me, you’ll have pictures, music, data files (and goodness knows what else) saved on quite a few devices. Wouldn’t it be nice to bring all those file into one place?? Whatever devices you use, whether it be your Laptop, Desktop, iPhone, iPod, iPad and even your PC at work, wherever your files are saved, you can use Dropbox to bring them all into one place. It works with Windows, Mac and Linux too. It’s also very easy to use – so lets take a closer look! Dropbox is basically software that syncs all your files online and across your devices. If you store files from your Laptop into your Dropbox, they’ll be instantly available on any of your other devices that you’ve installed Dropbox on. Dropbox works with Windows, Mac, and Linux! And, because a copy of your files are stored on Dropbox’s secure servers, you can also access them from any of your devices simply by logging into to your account using the Dropbox website. Dropbox offers an initial 2Gb of space, absoulutely free. However, if you have more then 2Gb of data strewn across your many devices (which I’m guessing most people do!) then Dropbox do offer a paid subscription service, which offers users more space. You can get either 50Gb of space for $9.99 a month, or up to 100Gb of space for $19.99 a month, which is great for syncing your music collection, photos or movies. I’ve been using Dropbox for a few days now and will continue to do so as it’s a very good application. It’s easy to use and best of all, it’s free. 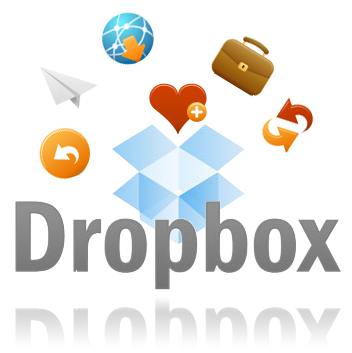 For more information about Dropbox and to take the tour, visit the Drop Box website. 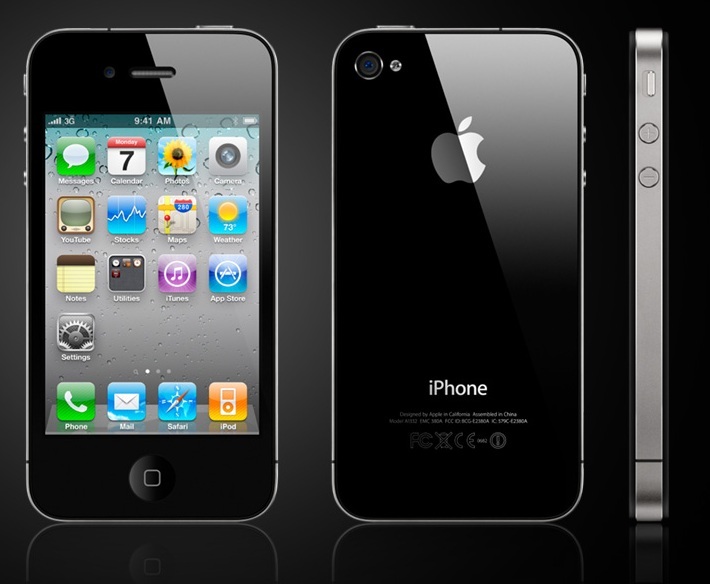 iPhone 4 is coming – are you getting one?? So, today at WWDC10, Steve Jobs talked about the iPhone 4 and how Apple has focused a lot of its efforts on video calling. iPhone 4 will be able to make “Face Time” video calls to other iPhone 4 users through two cameras mounted on either side of the handset – sounds clever enough! However, there is a catch! The feature will only be available over a Wi-Fi internet connection (this year at least), whilst the company tries to form some sort of arrangement with wireless carriers to make it work well enough over 3G. 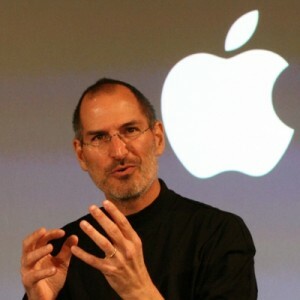 Jobs also said that the iPhone 4 is 24% thinner than its predecessor (The 3GS) and will have a much sharper display, coupled with longer battery life. The updated device will also house a gyroscope which, when combined with its accelerometer, will give it six-axis motion sensing, much like a video game controller. It will also have a better camera (5MP) and will be able to shoot video in HD – nice! iPhone 4 will also correct one of the iPhone’s main criticisms… its ability to multitask. It will be able to run multiple apps at the same time, so users will no longer have to close one application down, just so they can open another. The new handset will be available in five countries (not including Canada) as of June 24, and will ship across to 18 more in July. It won’t be available in Canada until late July – although this may change! So, will you be the first to get an iPhone 4? Or will you wait? Handheld device maker Palm have announced they are looking for a new buyer, as sales of the companies latest smartphones failed to match sales of rivals, such as Blackberry and Apple. Reports are suggesting that Dell or Hewlett Packard could be among potential bidders for the company. The company launched the Palm Pre last year, with the potential to be an iPhone killer, however sales figures have not been as high as expected. In the past six months, the company’s stock has dropped 69%. It has a stock market value of $870m (£563m). Palm’s shares rose more than 17% on the reports of a possible sale.